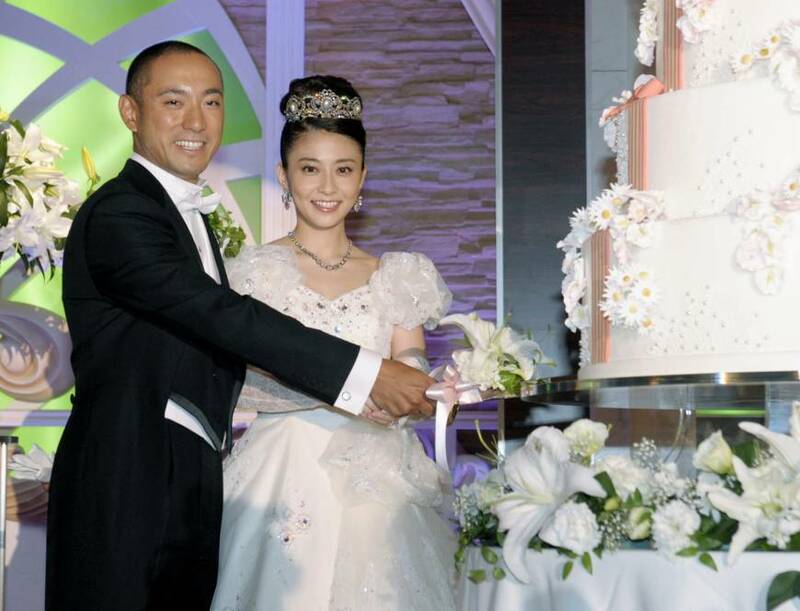 Popular television presenter Mao Kobayashi, 33, has been battling “serious” breast cancer for the past 20 months and is undergoing treatment, her kabuki actor husband, Ichikawa Ebizo, said Thursday. He said the disease is “spreading really fast,” and doctors have warned the couple that they face a tough road ahead. The mother of two is receiving chemotherapy and has contemplated surgery, Ebizo told a hastily arranged news conference. He said Kobayashi’s ordeal is compounded by her separation from their children. “As a mother, she can’t be with her little kids. I believe she is battling a sense of devastation I can’t possibly imagine,” he said. “I won’t run away from this ordeal. I will tackle it head-on,” he added. 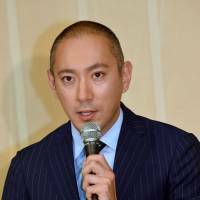 The 38-year-old kabuki actor, known for his outspoken style and brash demeanor, maintained his composure while speaking before around 200 reporters. But he confessed he was “completely at a loss” when he first learned of his wife’s cancer through a health checkup. 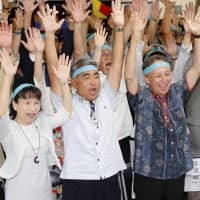 The family had tried to keep Kobayashi’s condition “top secret” but decided to go public after the tabloid daily Sports Hochi ran a front-page scoop about her ordeal on Thursday. 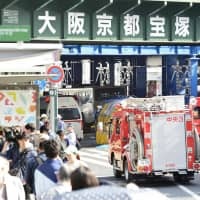 Even their two children, 4-year-old daughter Reika and 3-year-old son Kangen, have only just begun to understand that their mother is ill, he said. Ebizo called the past 20 months excruciating, but said that while the ordeal is not over, there is still hope for a positive result. “I hope that, someday, our family can all look back on this hard period of time and say it was a good experience after all. This is the kind of thought that gives us hope,” he said. 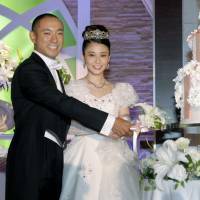 Kobayashi, a freelance anchorwoman, married Ebizo in March 2010. She has an announcer sister, Maya, 36. Ebizo is a superstar of the kabuki world. 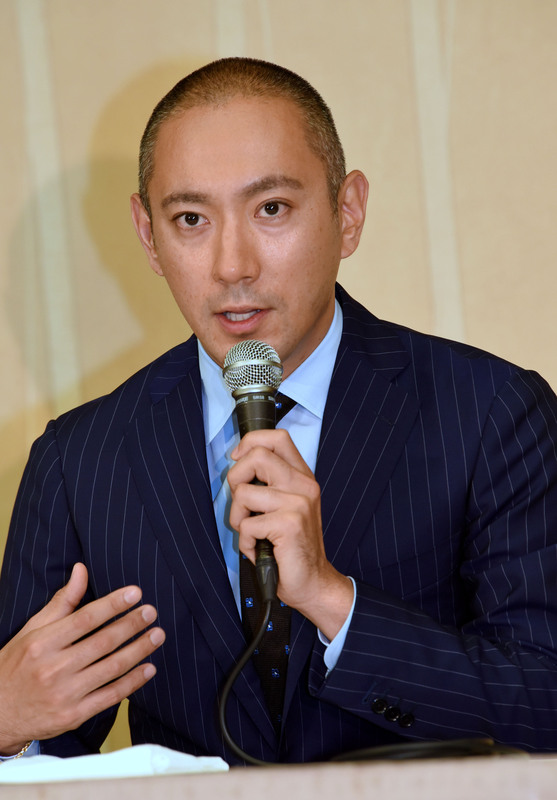 Before marrying Kobayashi, he was notoriously linked with a string of prominent actresses. 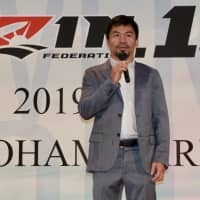 In 2010 he ended up with a bloodshot eye after a late-night brawl in a Roppongi bar.